Are you planning to travel to Europe this year? as E-Books to download as a Pdf file. A carefree, relaxing visit, informative,and pleasant experience awaits you here with itineraries from Guide Yourself Tours. Travel Plans made easy – Enjoy Austria with our Travel Guide. Our Austria travel guides / Itineraries are Self-Guided Itineraries / Self driving tours that have full and comprehensive daily itineraries, all the travel planning for a fantastic holiday! We have taken the work out of planning a trip, providing you with the ultimate Austria Travel Itinerary Guide and easy to use worry-free itineraries with information, directions, driving times, schedules, Attraction sites / venue information to guide you happily through Austria from one great location to another for a wonderful travel experience. Our Travel Guide – itineraries will save you countless hours planning your trip, and gain many carefree hours as you travel in Austria by following our itineraries designed by experienced and dedicated professionals with a passion for sharing this wonderful country with you to make your visit a great one! The itineraries have been created with great attention to detail and will provide you with all the information needed to complete the following program and will guide with ease and efficiency, taking the stress out of travel to a new country or region of a country where you have never been before. 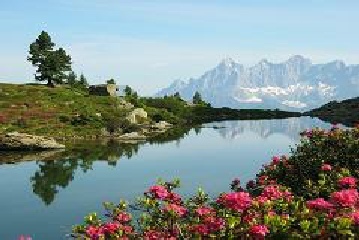 It is our pleasure to offer our travel itineraries of Austria to you! We have organized many travel itineraries and completed the organizational work for you to visit the high-lights of Austria and many other lesser know places that you are sure to enjoy and that will make the most of your trip. These cities, towns and great sites of Austria are ones we and many others have enjoyed and have fond memories of and we have incorporated them into our itineraries for your enjoyment. Wir wunschen Ihnen eine gute Reise und eine schone Zeit in unserem wunderschonen Oesterreich ! We wish you a good trip and a wonderful visit to our beautiful Austria ! We wish you happy travels in 2018 ! Guten Tag – Good Day - Welcome to Austria a country of great natural beauty, cultural wealth, and historical treasure for you to discover ! Indulge in great architecture, art, music, culture, shopping, walks through historical cities and towns as well as fantastic scenery and recreational possibilities of the Austrian Alps. See Austria Introduction Itineraries Travel planning made easy ! This itinerary / Travel guide will guide you through the glorious capital of Vienna and the enchanting Wachau valley, through Linz the cultural capital of Europe 2009. From there our itinerary will guide you onward to Salzburg and through the Austrian Alps and Lake regions and into the green province of Steiermark. Our itineraries / Travel Guide will provide you with a most memorable and rewarding experience, a cherished adventure awaits you !